Over on the Cavalcade of Awesome, I looked at 14 vintage ads for video games based on movies. So this week on Held Over, I'm looking at video game movies. 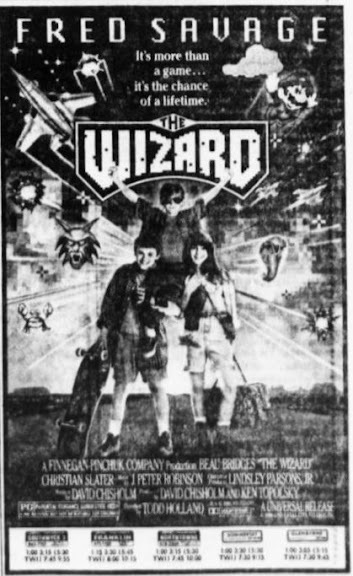 Here's an ad for the poster child of movies about video games, The Wizard. It features several popular Nintendo Games as well as the Nintendo Power Glove.